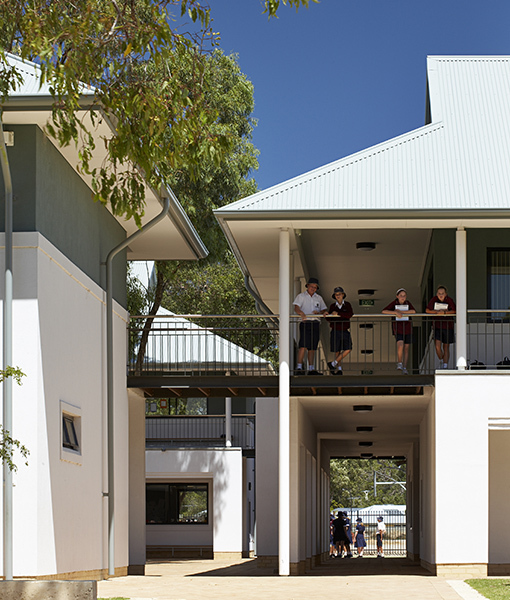 Parry and Rosenthal Architects and the Anglican Schools Commission worked closely together over a decade to create the Peter Carnley Anglican Community School at Wellard. 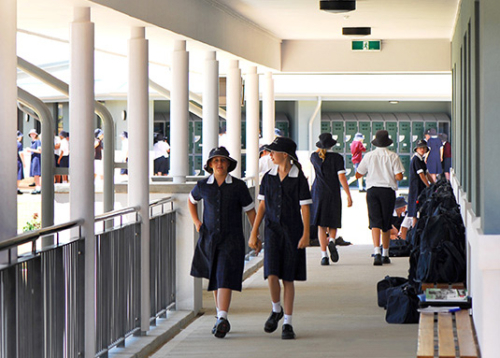 Built over 8 separate stages, this co-educational K-12 school, comprises Early Childhood, Primary, Middle and Senior Schools. It is located on a sloping bushland site close to the new Wellard train station in Western Australia. The location of the school was selected for easy access to the wider community without the need for vehicular use. It is within walking distance of the Wellard Train Station and is on major bus routes. The campus is also located adjacent to a shared use oval and sports pavilion, to which the school has access during school hours. 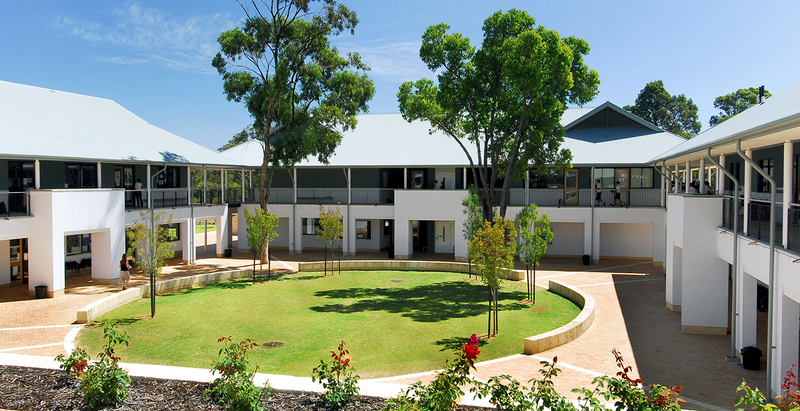 Built elements of the school were clustered to minimise sprawl and travel distances on the site. This approach also serves to maximise social interaction and retains as much existing natural bushland around the perimeter as possible. 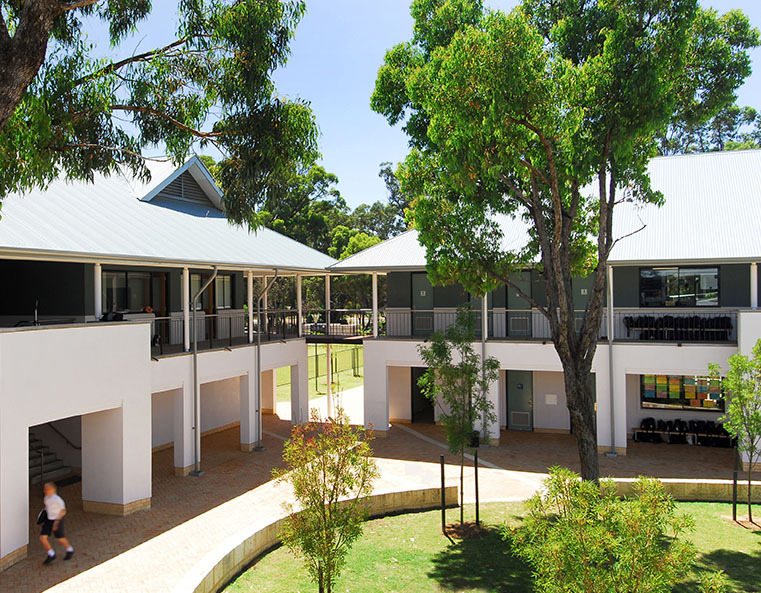 The Junior and Senior courtyard buildings are linked by an arc of shared and specialist buildings, with a covered walkway at the upper level. 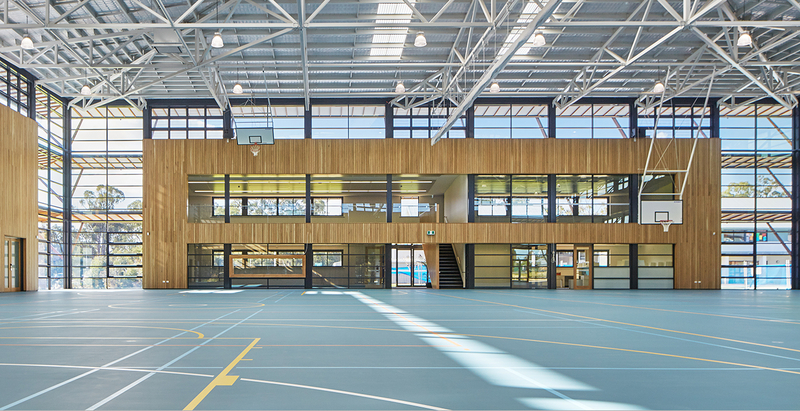 The new gymnasium is located adjacent to, and looks over, the lower sports field. 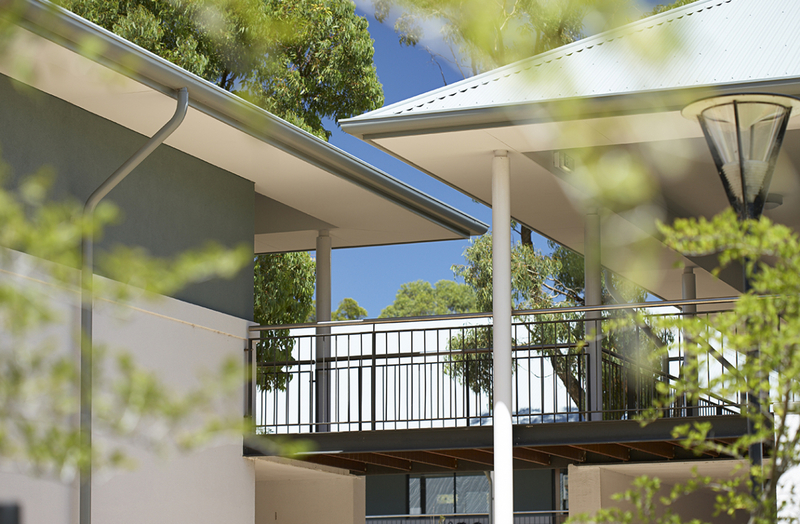 Part of the challenge architecturally was to provide an inspiring, calm, friendly, appropriate and secure built environment within a tight budget for this community school. North-south orientation of the building facilitates natural ventilation of the spaces and passive heating & cooling. The selection of materials and form is sympathetic and responsive to its natural bushland environment.